Fire is one of the oldest land management tools used in the PNW. Native Americans were managing the landscape using fire for thousands of years during the pre-european settlement era. Many of the ecosystems we see today, such as Oregon white oak and pondersoa pine savannas, are a direct result of this management. The use of prescribed fire today is an important restoration tool which reintroduces disturbance regime into the ecosystem. 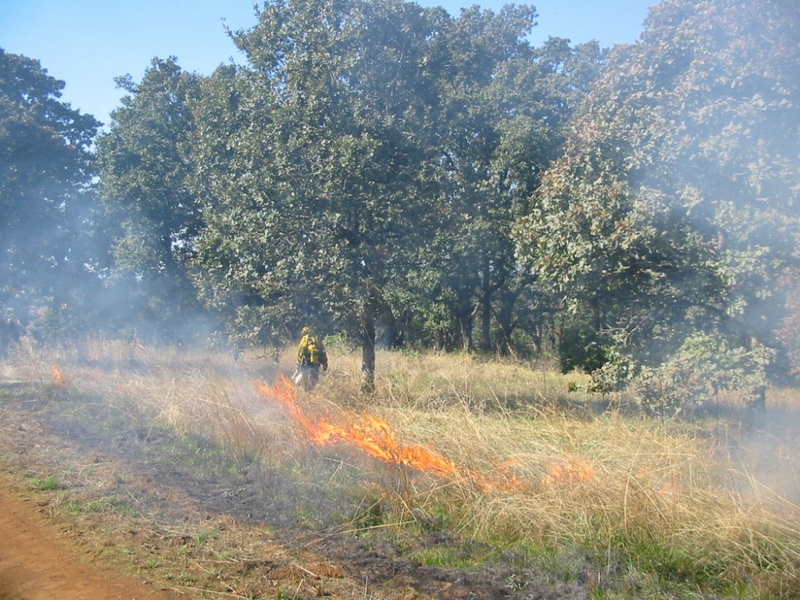 IRM and our restoration crews provide safe and responsible habitat restoration with the use of prescribed fire. IRM works closely with local fire departments and natural lands managers to coordinate these efforts. IRM uses both broadcast burning and pile burning in restoration. Pile burning can be an effective method for managing slash from oak savanna restoration and conifer thinning. For more information contact Matt Mellenthin by email or phone 541-929-3408. Visit our Projects: Terrestrial Habitat Restoration page for examples of Prescribed Fire Projects completed by IRM.